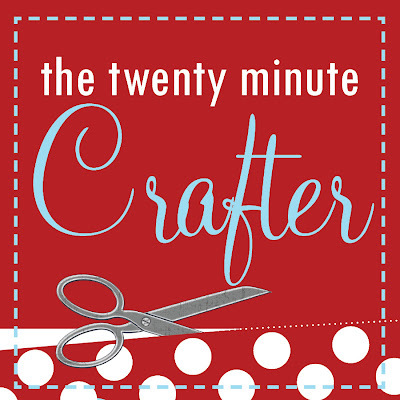 ready for another round of quickie crafting? how about a SUPER cute belt!? needed in any color and combo you could think of. length of the webbing should be your waist size plus 10 in inches or so. First, wrap the webbing around your waist where you wear your belt. Add about 8-10 inches to that and cut and seal the ends with a lighter. Like if your waist is 28 cut 38 inches of webbing. d-rings and sew the end down as shown. I went over it several times to ensure strength. Third, cut your fabric 2 1/4 wide by your waist measurement PLUS one inch. In my 28 inch example I would cut the fabric 2 1/4 by 29 inches. Fourth, fold in half and iron with 1/4 guide...then turn it right side out. ...as shown...tuck in the ends a half inch or so as well. Sixth, center your fabric onto your webbing...pin if you would like...be sure to cover your previous stitching with your fabric AND allow room for your sewing foot to get in there. Sew all around the sides...using 1/4 guide. Then go flaunt your new sass and leave them saying...what muffin top? So sweet..... a girl could go crazy with this one! It's a good possibility that my closet could soon be over run with belts. Great idea! That would make a great *boy* gift. It's so hard sometimes to craft for my nephews. I'm going to have to remember this one. L-O-V-E this! Want to order!!! LOVE this! and especially the part about it disguising the muffin top :-) a question...i really need to invest in a cutting mat and guide...i just see that it will be helpful in so many projects. any tips on size/brand is necessary? i'm sure there's a wide variety (and price!) thanks! what a fun idea. thanks for sharing:) love your etsy shop too! Awesome project crystal!! I love it. Thanks! such a great idea...and I love the fabric. i have a new pair of pants that need a belt...this is much better then buying some plain one. I think you should open a second shop just for moms or gals, selling your cute skirts, handbags, belts! You get the idea? Seriously, you make everything look so simple, how could you ever doubt yourself!? You are amazing Crystal! truely! One rocking gal I say! Incredible! Where did you get the idea? courtney: i have a duraheal and love it. I would be sure to get a large one...at least 24 by 18...much smaller is almost useless in my opinion. I would get one of the sets they have a Joanns and use a coupon! shelly: i don't wear belts to keep my pants up really...so I'm not sure what to tell you...but i don't seem to have a problem with them coming lose. What a great project! Nice to meet you! I'll be back for sure! Stopping by from Today's Creative! Just signed up to follow you, I'm looking for a few new crafty followers too! thanks for the info, crystal!!! VERY helpful! Found you on TCB. Great idea for a quickie project. Sometimes it's the simplest things that just complete a look. And I'm obsessed with "matching" - so to have a belt tailor matched to my outfit would be awesome! You are so creative!!! I just got an old sewing machine and I think I can do this (hopefully)!!! If the first one turns out good I am going to make some for my daughter.I have the hardest time finding belts for her, and she needs one because she has a small waist and long legs so when I buy to fit her in length the pants are too big in the waist! Sorry for all of the rambling ! Love the belt! I love your blog too! 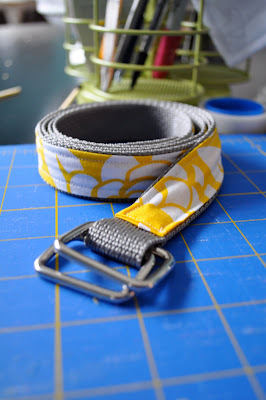 What a cute and easy way to make this belt. I love it! Thanks for sharing. I am so impressed and will be doing this too!!!!!!!!! okay -- just finished my belt (pics are on my site) and I am HOOKED!!!!!!!!! Where in the world are you getting these fantastic ideas?